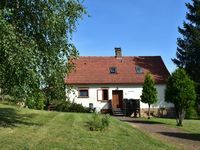 Property 5: Spacious, charming holiday home in Lampertice, ideal in both summer and winter! Property 14: An eight-person holiday home with a private swimming pool. Property 19: Apartment close to the forest.Ideal for hiking. Property 21: If you prefer calm accommodation, APARTMENTS HÁJENKA are the ideal solution.